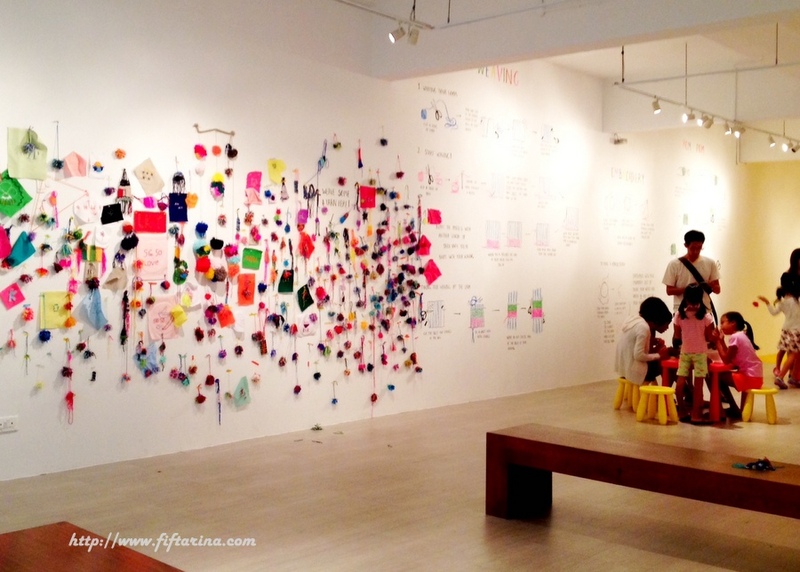 This is a quick recap on our visit to Imaginarium at Singapore Art Museum (SAM). 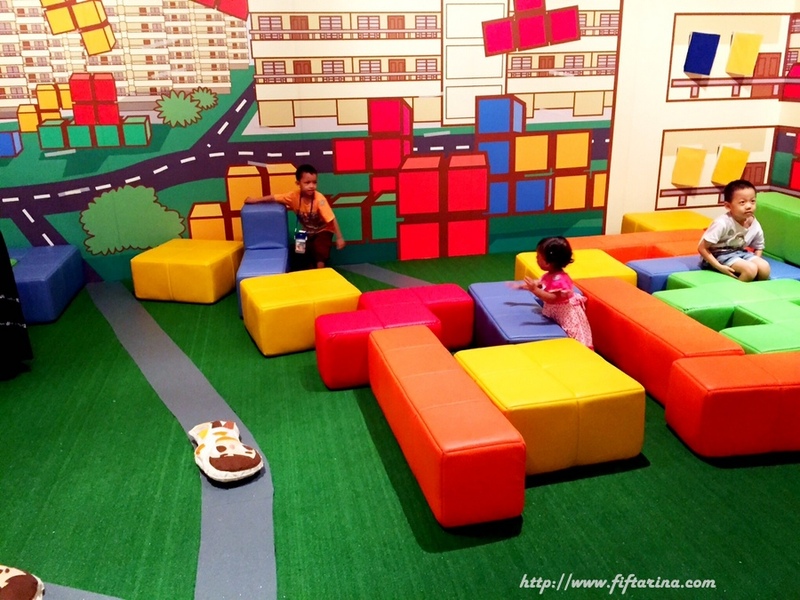 I’ve heard about Imaginarium several times from some mommy bloggers, but I never thought to visit it with my kids until I read one mommy blogger’s post. 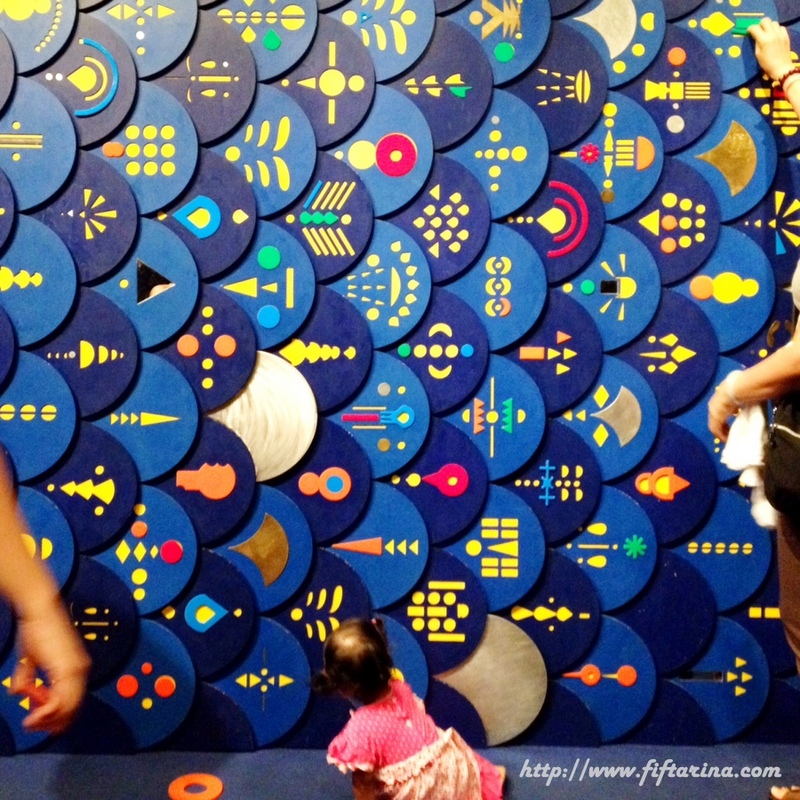 She has visited Imaginarium twice with her children, and her children didn’t even feel bored. 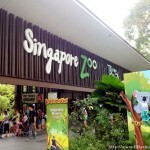 She really suggest to give it a go for those who hasn’t visited it. So, we finally went there. We first explore We built estate at level 1. 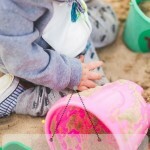 This is our most favorite part because both kids were able to enjoy it the most. The giant building blocks remind me of Tetris game. 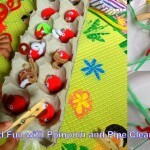 Not only they can be arranged to fit each other, but the kids can also ride on it, just like a horse riding adventure. The wall are full of estate theme drawings with some soft dolls taped to it with Velcro. Dija, being a doll lover, kept trying to take out almost all dolls within her reach. The exhibits in level 2 were kind of so-so in my opinion. The moon room where we are supposed to practice origami, is a bit too small. I think only 5 families can go inside at the same time. The moving image gallery or so called short movie screening was nice for elder children, but Abdurrahman did not enjoy it that much. I guess he’s simply not accustomed to cartoon and animation. We had more fun at level three. In the green room interstellar overdrive, we were in awe witnessing how kinetic energy is converted to electricity to activate certain display. There were several bikes inside ( unfortunately not small enough for Abdurrahman since they are for 8 years old and above). 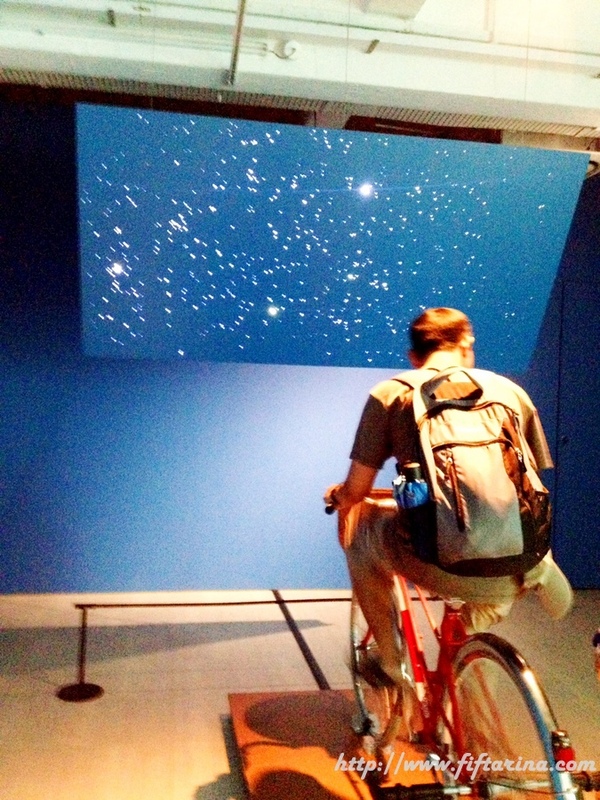 Daddy rode one of the bike, and tada… The screen in front of him began to light up and displayed a constellation of stars! In the other exhibit, let’s make studio, we were given options what to made from yarns. I think this exhibit is perfect for girls, but anyway when I asked Abdurrahman what he wanted to make, he said pompom. So there you go, we made two pom-poms. We displayed one on the display wall and we took the other back home. 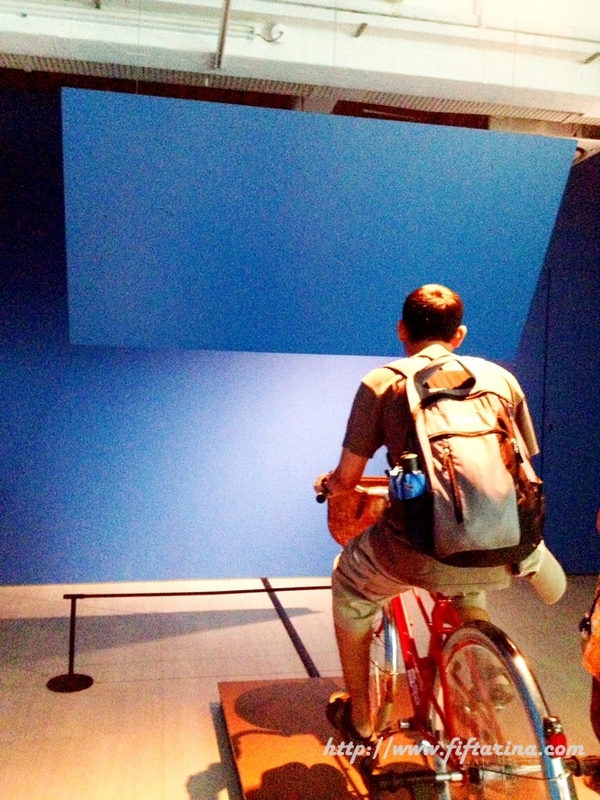 The two exhibits at level 4 were another huge hit with the kids. In Kiko’s secret, we were busy trying to fit puzzles onto the giant fish scales. It’s kinda addicted trying to match the puzzles. I thought it would be as easy as eating pie, but in fact, it is quite tricky to find the matching puzzle pieces. Other than this fish puzzle, Kiko’s secret also house other arts made from recyclables. Take a look at this piece of art. 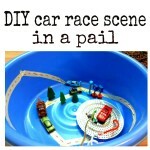 Do you notice that most of the pieces were junk? 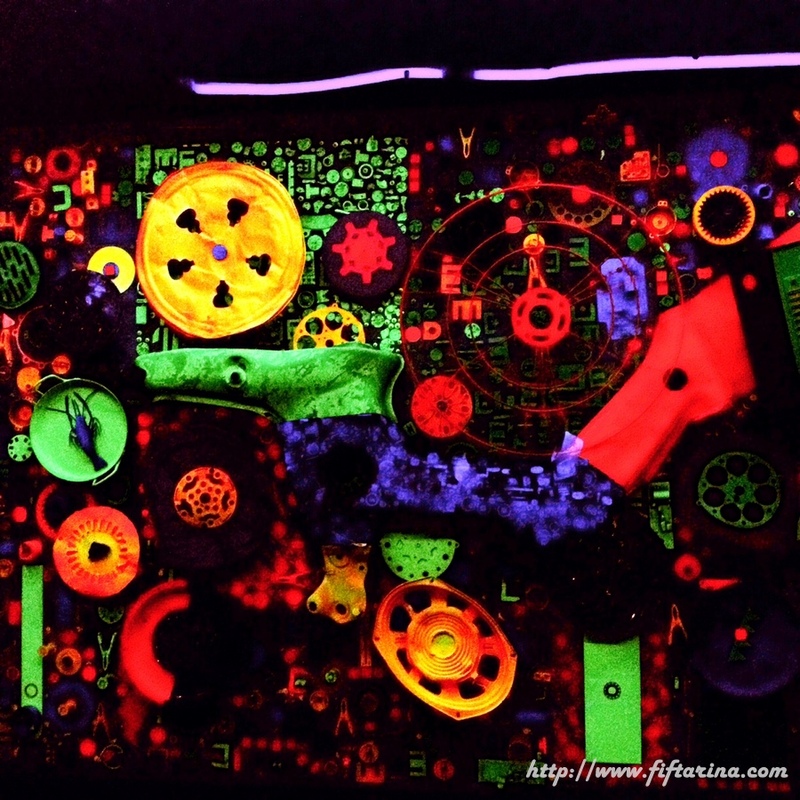 But with bright painting and careful arrangement, they turn out to be a beautiful piece of art. Then, enter The Dream House. The front porch is made from sweets and lollipops. While the house is just like a Gingerbread House. 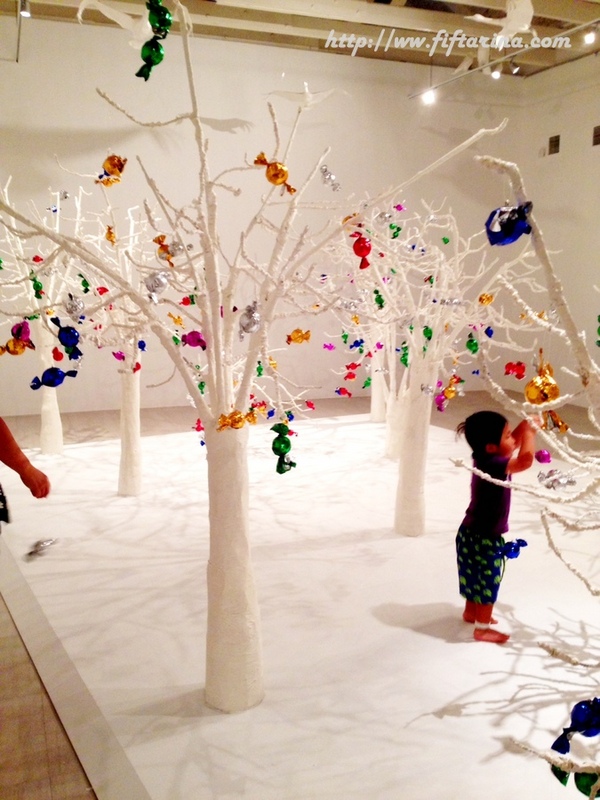 Go further to explore its back yard, and the children will have fun to hang multi-colored sweets on the white tree branches. What a lovely place for children. Overall, we were very happy with our visit to Imaginarium at SAM. Can’t wait to visit it again next year! Have you visited Imaginarium at SAM? You still have ample of time! Imaginarium opens till 19 July 2015. Bring your kids there and have fun! 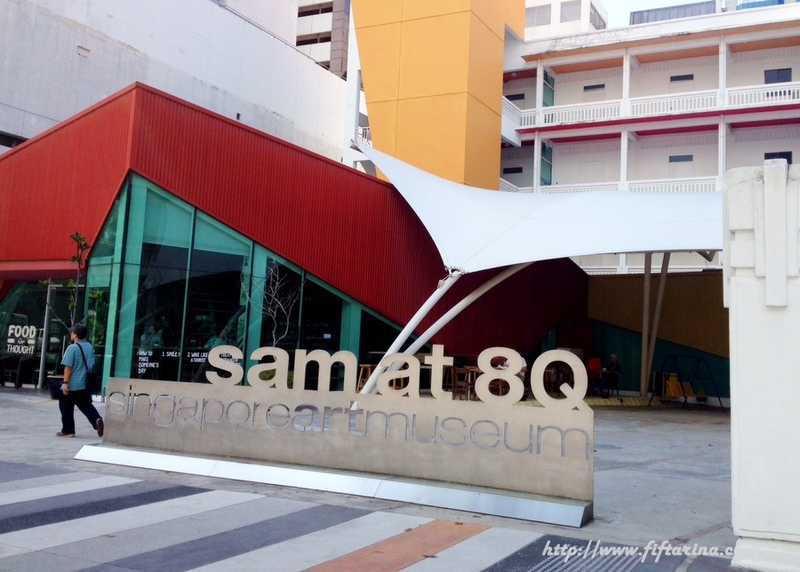 *Admission to SAM is free for local residents (Singapore citizens and PRs) and children below 6 years old. Linking up at The Leisure Link. Thank you, Fiftarina, for a well-composed post about arts and cultural! Fits perfectly with the theme of #TheLeisureLink! Thanks for linking. That reminds me… my kids have asked to return a second time but I’ve yet to bring them there again. Gotta find time to bring them soon! They really had a great time the first time we were there.